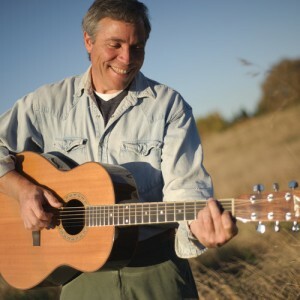 Seattle singer-songwriter Dave Ellis and his group, the Hopeless Sinners, join The Halyards for a double header of local bands with strong pedigrees. The show is Saturday, Feb. 15, at The Royal Room, with Ellis and the Hopeless Sinners opening at 9 p.m.
Ellis plays songs from his current CD, “Everything in Between,” a culmination of his solo work over the years as well as his time with Seattle band Edison Jones. Whether playful, reflective or somber, the songs convey a personal warmth reminiscent of James Taylor. It’s a sweet collection of tunes with a ‘70s vibe that doesn’t sound dated, but refreshed and re-energized. The mix of vocals and instrumentals is relaxed and uncluttered. Listen to “Know Now” from “Everything in Betoween” on SoundCloud here. The lineup for the Hopeless Sinners (many of whom played on the album) includes Ellis (vocals and guitar), Garey Shelton (bass), Brooke Lizotte (keyboards), Terry Lauber (pedal steel guitar and vocals) and Brian Atterbury (drums), as well as Don Garberg (keyboards), Keely Whitney (background vocals) and Ernesto Pedianco (percussion). Copies of Ellis’ album are available at the show. Mason and Shelton are also former members of The Brandos and The Allies, and bassist Shelton has played with Jesse Colin Young, Randy Meisner, B.B. King and even James Brown. 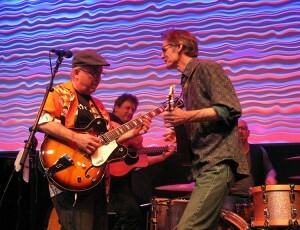 Thompson was a member of Seattle band TKO and the Floyd Rose Group, as well as Paul Allen’s touring band, for which Davison was musical director. Learn more about Ellis at his website here. And visit The Halyards’ website for music, photos, videos and a calendar of upcoming shows. Get all the details about the show at the official website for The Royal Room here.